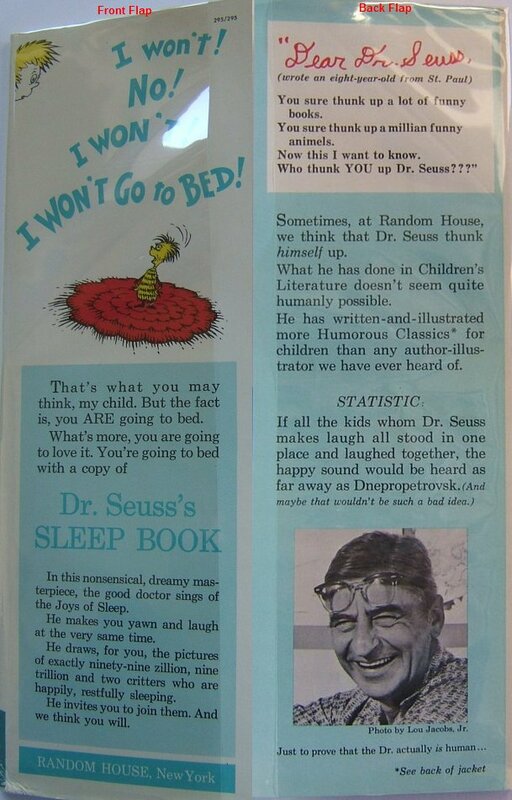 Dr. Seuss’s Sleep Book was the 17th large-format children’s book written and illustrated by Theodor Seuss Geisel, and twenty-first overall. The first edition continues to show up on eBay for modest prices a couple of times per month. Back dust jacket with two boxes of Dr. Seuss books. Top box with sixteen large-format books, listed in two columns. The left column begins with Yertle and ends with 500 Hats; right column begins with Oobleck and ends with Mulberry Street. 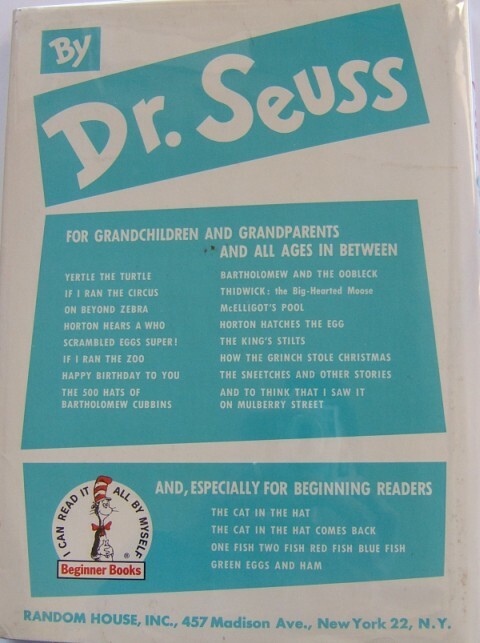 The lower box lists the four small-format Beginner Books, beginning with Cat In The Hat and ending with Green Eggs And Ham. 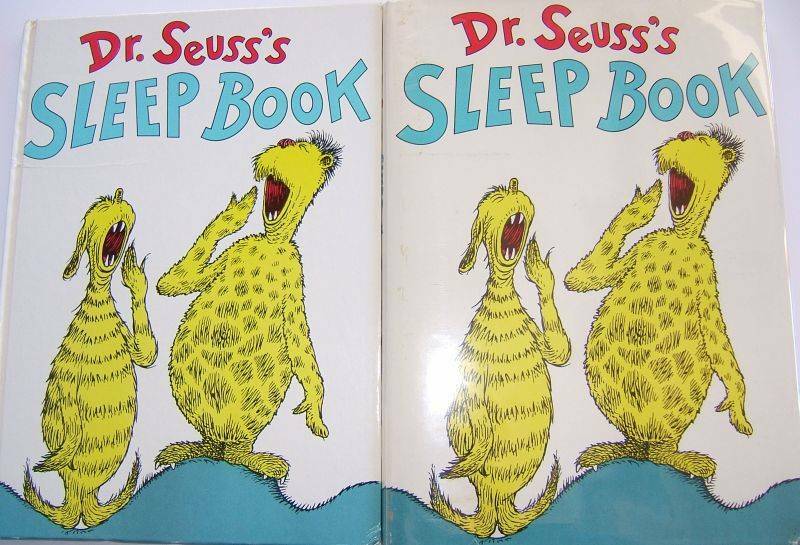 No listing for Sleep Book on back dust jacket. The front flap price is ‘295/295’, however is not necessary to identify a first edition.